I made a couple posts earlier this year regarding a BGGN test that we discovered at St. Francois State Park. 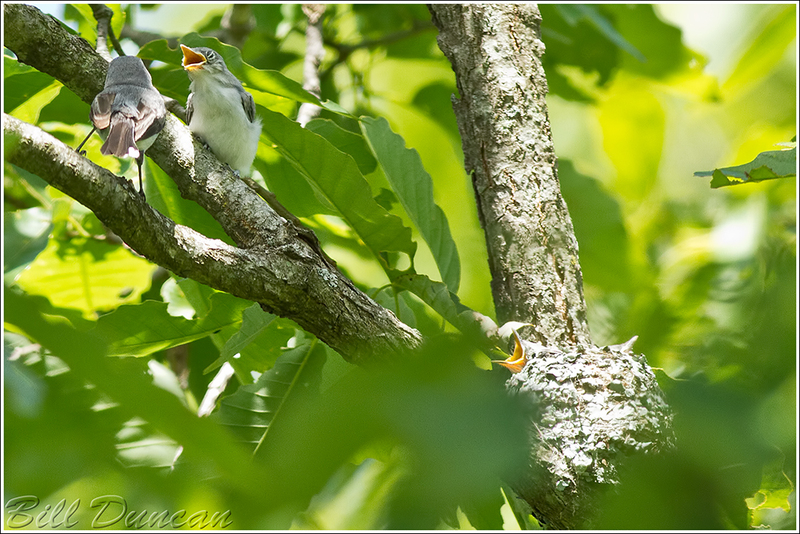 Later, in early June, Steve and I found an active and very successful nest located in a Chinquapin Oak in the savanna-glade area of SNR. 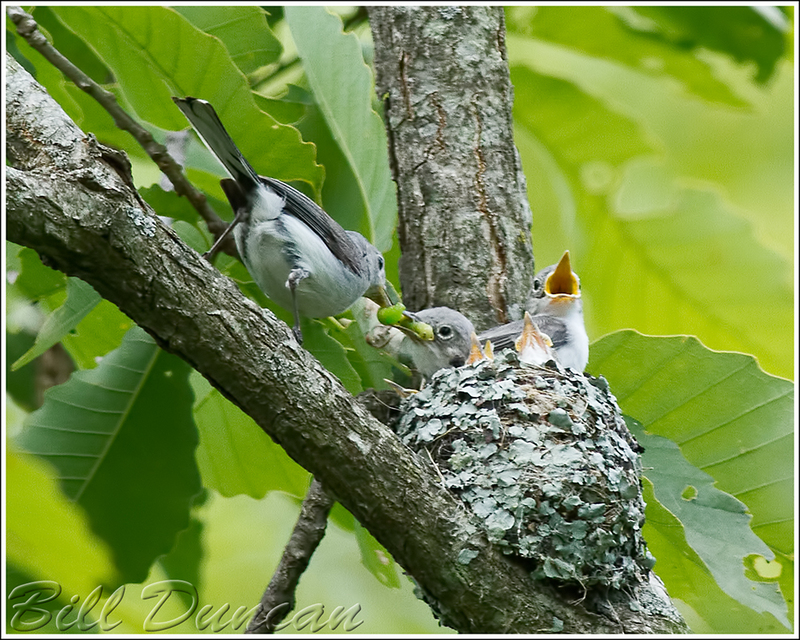 These busy parents were looking to successfully raise five new Gnatcatchers! One or two of the chicks were leaving the nest for brief occasions and it looked as if the chicks were within days of fully fledging. 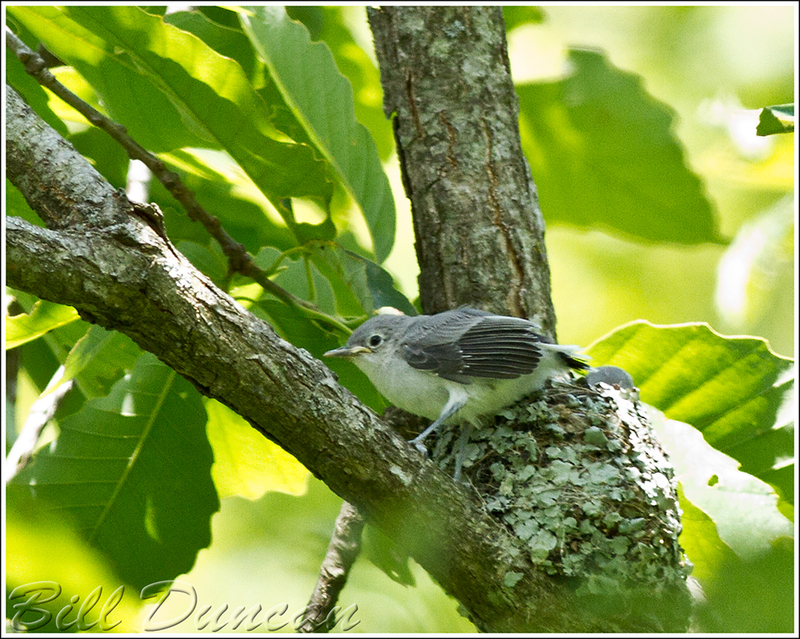 Gnatcatchers move so fast that without finding a nest, it would be most difficult to ever catch them in a photo. It was a real treat watching these guys and I hope you enjoy a few moments of this day. 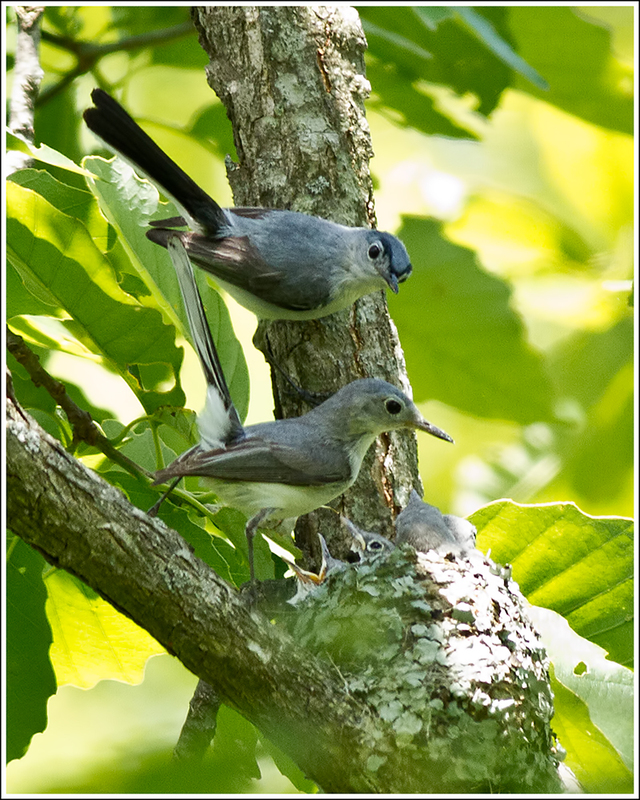 The first we noticed of this scene was a plumper than normal Gnatcatcher sitting on a branch. Since plump and sedentary are never adjectives I would use to describe this species, it was cause to make further observations. Moving around the tree a bit afforded a bettter view and allowed us to find the nest in the crotch below. Here you can see the primary difference between the chicks and their parents. The chicks lack the impressive, long tail of the adults, so perfectly used in tight flight and balance. Both parents work feverishly. Below you can see both parents at the nest at one time, dad above and mom below. In this photo, somehow, all five chicks are in the nest bowl at the simultaneously. 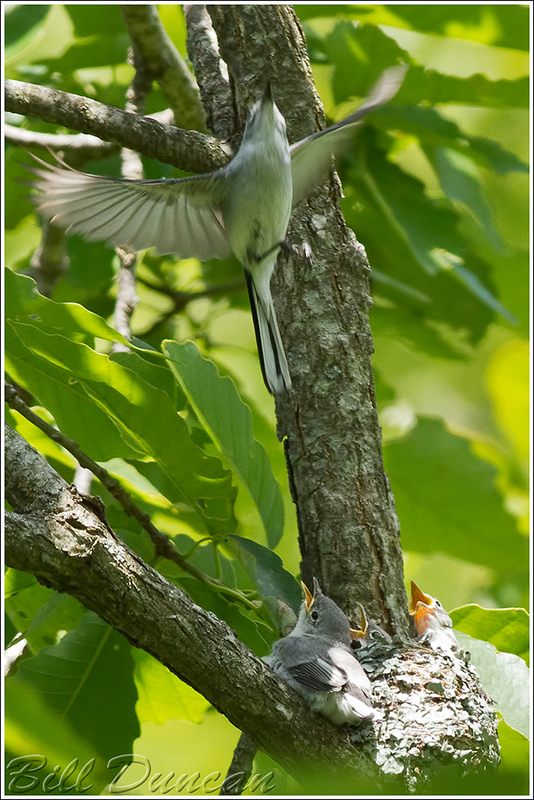 Master insect hunters, this image shows mom offering a large green lep to the nest. You can’t get any closer to actually eating your greens… 😉 Once again, all five chicks are in the nest. Finally, off flies one of the parents. If it’s bright enough to see, it’s bright enough to hunt.